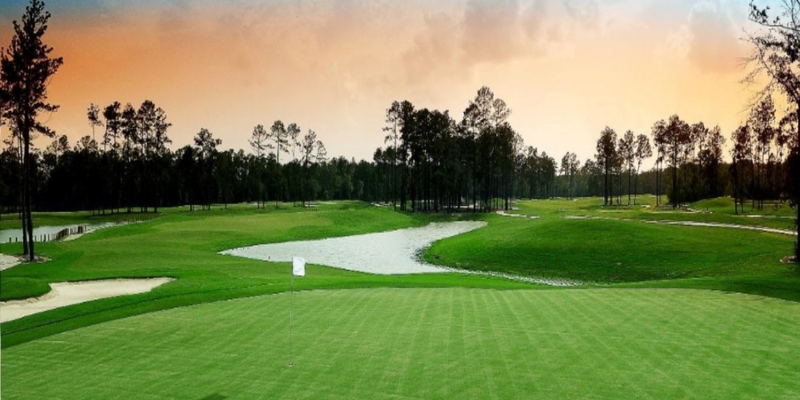 The 18-hole, par-72 course is set in a mature growth pine forest, featuring an abundance of water hazards, preserved wetlands, and 80 bunkers. This Southwest Louisiana's golf course has quickly become one of the region's favorites. The National is a well-maintained and challenging layout, boasting generous landing areas along rolling terrain and over-sized greens. Additionally, it was named one of Golfweek's "Best New Courses" in 2010. The National Golf Club has also received certification as an Audubon Cooperative Sanctuary by Audubon International. Please call 337-433-2255 for current rates. Call 337-433-2255 for rates and tee times. 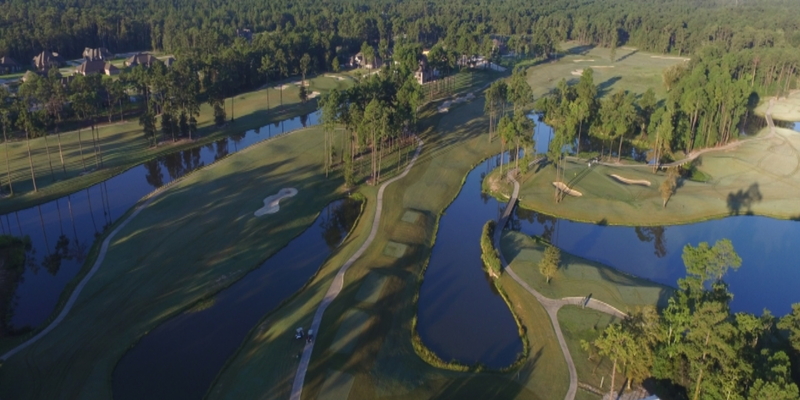 The National is not only Louisiana's newest and more affordable destination for a round of golf, it's the perfect location for your next golf event. Whether you are looking to host your group's next golf outing with us, or wish to play in one of our in-house events, The National Golf Club of Louisiana is the perfect place to play! We pride ourselves on offering outstanding course conditions, friendly service, and attention to detail for every event. We look forward to seeing you on the course! General Manager Gerry Pockat looks forward to sharing more with you about hosting your golf outing at The National Golf Club of Lousiana. At the NGCLA we are committed to helping you improve your game. The Club is the site of the SWLA Bear Suarez Junior Golf Academy - known throughout the area for developing Junior Golfers. The Club also offers lessons and clinics to players of all skill levels to advance their games. The facility features 1.5 acres of all grass hitting stations, two chipping greens complete with sand and grass bunkers as well as a large practice putting green. Whether you are a beginner interesting in learning the game, or are a serious golfer looking to perfect your game, the National has the right program designed for you. Come join us! Contact The National Golf Club of Louisiana at 337-433-2255. Contact The National Golf Club of Louisiana at 337-433-2255 for onsite or nearby dining options. This profile was last updated on 10/28/2015 and has been viewed 5,818 times.